An electric sunrise over Longs Peak and The Diamond foramtion as photographed on a stunning autumn morning in Moraine Park. 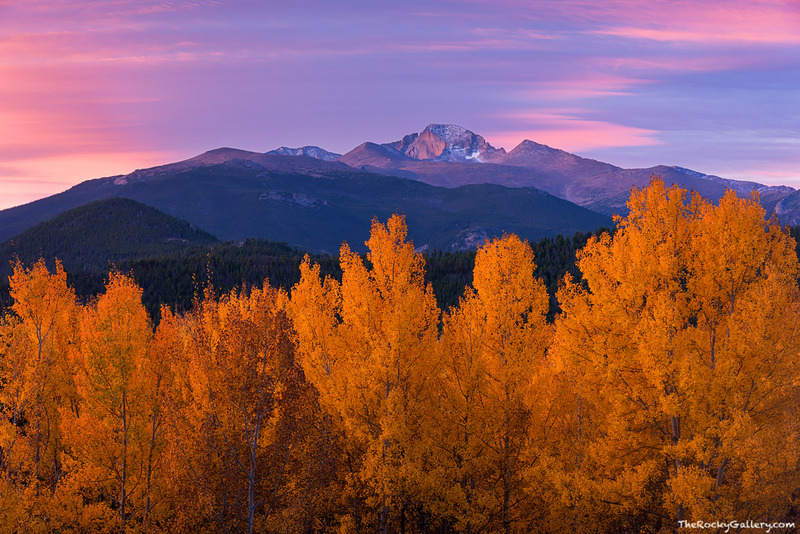 With this stand of aspen trees dawning their golden fall colors, and elk bugling in the the meadows of Moraine Park for the fall rut, all the glory and beauty of Rocky Mountain National Park was on display. Photo © copyright by Thomas Mangan.